Bold and extravagant, Aisha necklace set will be a perfect accessory for fashion-conscious women and girls. 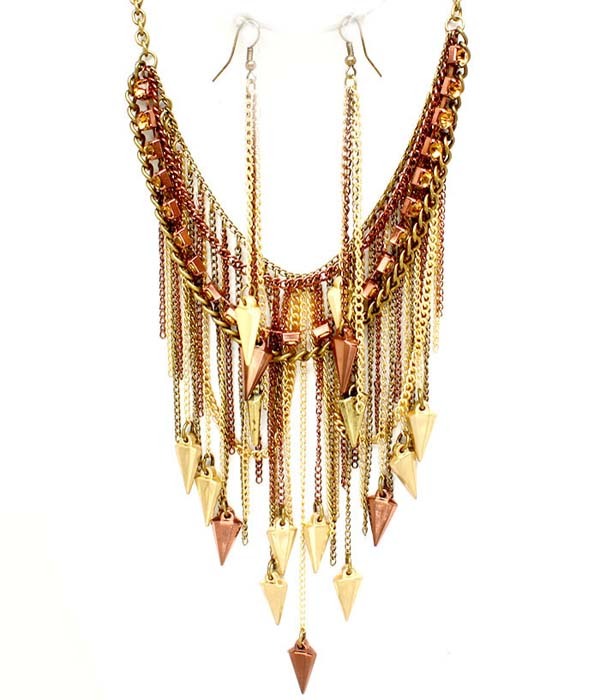 Bib necklace consists of multiple chains with arrows at the edges. Two tones of gold create beautiful mixture. Buy this 'must have' piece of fashion jewellery online today at lowest price guaranteed.